I was reading a fitness article the other day, and the trainer who wrote the article described the importance of genetic testing to increase your efficiency in working out and improve your diet. I had never heard of this before, so I decided to do some research and found that this is something that a lot of professional athletes do to maximize their workouts and get the best results. I immediately wanted to know more. 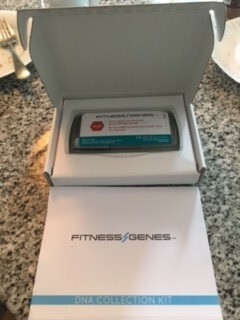 The company mentioned in the article, FitnessGenes.com was the first website I visited to learn more about the actual product. I read the information on their website and testimonials and decided this was something I wanted to do to learn more about how I can improve my workout and diet based on my DNA. 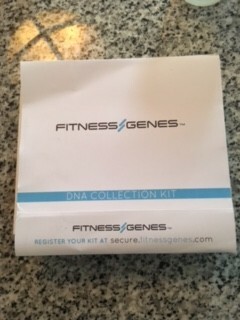 I ordered a FitnessGenes kit and it arrived quickly in the mail with simple instructions on how to register my kit online and mail back my saliva sample. Collecting my saliva sample was simple and only took about five minutes. The instructions are clear and easy, and I had my sample in the mail. I am now waiting for the results, so there will be more to come! Stay tuned as I go through my first experience with genetic testing to assist with my fitness, nutrition and performance! By being the authority on Fitness and Nutrition DNA interpretation, we will own the world’s most advanced model of large data analysis, correlation and application of a knowledge base that can directly benefit those who want to lead a fitter and healthier lifestyle. We believe we will achieve this by following the core values below. We believe that no one should be completely defined by their genetics. That’s why we combine our client’s specific fitness goals with their DNA results when creating our personalized recommendations. The actionable advice that we offer allows individuals to make positive lifestyle choices and consistent progression, so they can realize their full genetic potential in the sports they enjoy, with the physiques they desire. We don’t just report science, we interpret and understand it. At FitnessGenes, we believe that we can make a positive social impact and significantly contribute to the movement towards a healthier society. In addition to our in-house research led by our experienced team of PhD scientists, we actively pursue academic collaborations to further our understanding of the associations between genes, environment, fitness, and body composition. This dynamic and rigorous process ensures that we are giving credible, evidence-based recommendations, as well as contributing to new research and the overall advancement of human health. We strive to create an empowered, informed and connected community. For our clients, receiving their results is just the start. We aim to establish valued relationships through a strong social presence, encouraging an open community who can support each other and share their experiences as they advance through their FitnessGenes journey. Our team are also on hand to offer all necessary and reasonable guidance and motivation to ensure each individual we test achieves their fitness aspirations. We have developed a strong ethical code of practice to ensure our conduct runs parallel with our own beliefs. The trust of the FitnessGenes community is central to our success. That’s why dealing with all those we encounter fairly and lawfully is our guiding ethical principle. 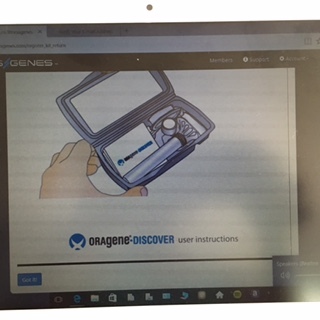 Because we believe that everyone should own their genetic data, we allow for a full opt-out if customers do not wish to participate in further research or data sharing. 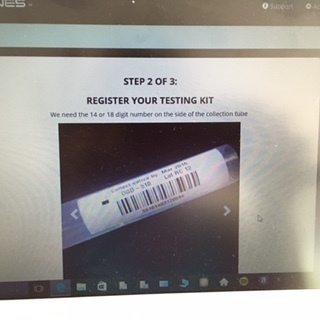 To protect minors from genetic screening and athletic selection, we also employ a strict 18+ ruling for testing. At FitnessGenes we encourage mutual respect, as well as individual creativity and contribution, providing each employee with the opportunity to grow alongside the company.